They’ve taken over nearly every banner and billboard in Los Angeles and tonight the Minions took over Universal CityWalk LA, in celebration of their new, “MINIONS” movie release tomorrow, July 10. The mischievous minions were spinning their favorite tunes and steppin’ around the stage at the 5 Towers, DJ party for kids of all ages. 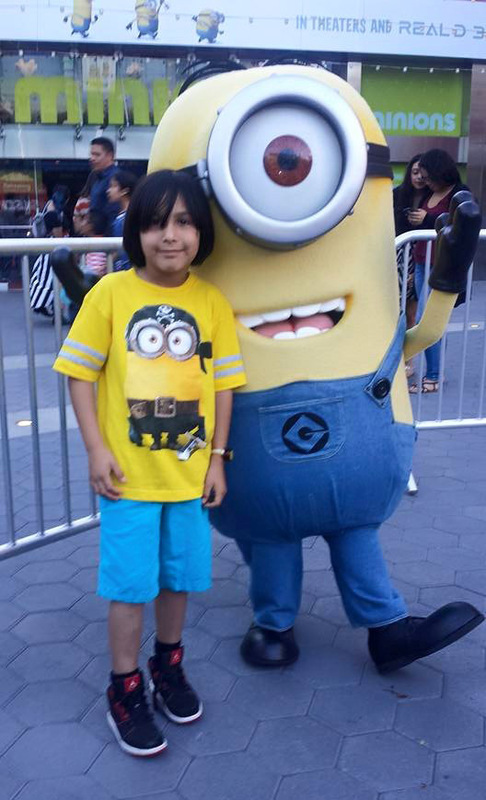 Along with “Minions” themed giveaways there was a chance to brush up on your Minionese at an advance screening of the new minions self-titled feature film starring Sandra Bullock and Jon Hamm. We caught the cuddly yellow henchmen around the Interactive play zone “Super Silly Fun Land” and danced with the minions at the Despicable Me Minion Mayhem” 3D-HD ride . Eating like a Minion was also a must. Frozen Bananas at every corner and at Gru Lab Café we enjoyed some Minion Twinkle cakes and a Freeze Ray smoothie made with Mango, and you guessed it, Ba-na-na!! Minion connoisseurs were in the house tonight and we all had a blast letting our little yellow rockin maniac’s out. Experiencing Universal CityWalkLA is free every day with a three-block promenade of entertainment, dining and shopping. More info is available at www.CityWalkHollywood.com. Regular updates also may be found on CityWalk’s Twitter @CityWalkLA, Facebook-Universal CityWalk Hollywood and Instagram @CityWalkLA.